We have a 30,000 square foot space under a roof with a capacity of up to 4000 inside as well as an additional outside space with endless capacity. 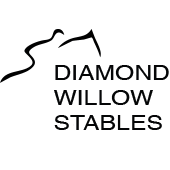 Come join us in July 2019 for the second annual Stampede CowBoy TrailBlazer hosted at Diamond Willow Stables. We will be hosting the RanchRomp later in the Fall – make sure you come back to the website to check out all the details. A headliner band, plus 2 additional bands. Come join us for dancing, food, refreshments, a horse demonstration and a great social gathering.